A riveting and unexpected novel that questions whether a peaceful and non- violent community can survive when civilization falls apart. Again, all are asleep, but I am not. I need sleep, but though I read and I pray, I feel too awake. My mind paces the floor. There are shots now and again, bursts here and there, far away, and I cannot sleep. I think of this man in his hunger, shot like a rabbit raiding a garden. For what, Lord? For stealing corn intended for pigs and cattle, like the hungry prodigal helpless in a strange land. When a catastrophic solar storm brings about the collapse of modern civilization, an Amish community is caught up in the devastating aftermath. With their stocked larders and stores of supplies, the Amish are unaffected at first. But as the English (the Amish name for all non-Amish people) in the cities become increasingly desperate, they begin to invade nearby farms, taking whatever they want and unleashing unthinkable violence on the gentle communities. Written as the diary of an Amish farmer named Jacob who tries to protect his family and his way of life, When the English Fall examines the idea of peace in the face of deadly chaos. Should members of a nonviolent society defy their beliefs and take up arms to defend themselves? And if they do, can they survive? David Williams’s debut novel is a thoroughly engrossing look into the closed world of the Amish, as well as a thought-provoking examination of how we live today and what remains if the center cannot hold. David Williams is a teaching elder in the Presbyterian Church. He lives in Annandale, Virginia. When the English Fall is his first novel. 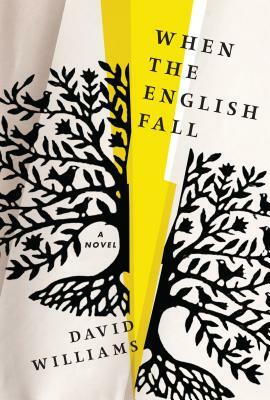 "It’s rare to find a debut novel as finely crafted as When the English Fall."